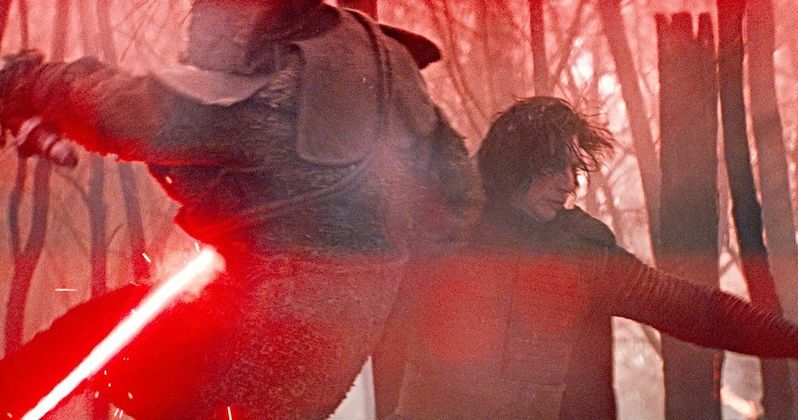 Lucasfilm has finally unveiled the first trailer for Star Wars 9 and we've got a ton of images to help give a closer look at the action. Star Wars Celebration is taking place in Chicago and fans who have been hungry for information regarding the final chapter in the Skywalker saga have had their prayers answered. For those who are still needing to scratch the itch a bit, these images may do the trick. J.J. Abrams is back in the director's chair for this one. Abrams, as fans will surely recall, was the man who shepherded the franchise back into the public eye by directing 2015's The Force Awakens. The movie was a huge success, grossing $2 billion worldwide and it managed to get fans excited about the franchise again. He then handed over the keys to Rian Johnson, who wrote and directed The Last Jedi. There's no need to dig into all of that again, but let's just say Abrams had reason to question whether or not returning to finish what he started was a good idea. Either way, it's in his hands now. Daisy Ridley, Adam Driver, John Boyega, Oscar Isaac, Lupita Nyong'o, Domhnall Gleeson, Kelly Marie Tran, Joonas Suotamo, Anthony Daniels, Mark Hamill and Billie Lourd all return for this installment. New cast members include Naomi Ackie (Yardie), Richard E. Grant (Can You Ever Forgive Me?) and Keri Russell (The Americans). Billy Dee Williams is also finally set to make his return as Lando Calrissian for the first time since Return of the Jedi. At least on screen anyway. Williams has voiced the character in Star Wars Rebels and in the Battlefront II video game. Aside from having to bring this whole trilogy to a satisfying close, J.J. Abrams also had to deal with the untimely passing of Carrie Fisher, who died before the release of The Last Jedi. However, she's coming back via some unused footage from the last two movies. How that's going to work in context remains to truly be seen, but we're getting one more does of Princess Leia and that can't possibly, at the end of the day, be a bad thing. Now comes the long wait until December 20, when this movie will finally hit theaters. Will it be able to unite the fanbase? Can J.J. Abrams pull this off? Our fingers are firmly crossed. Be sure to check out all of the images from the trailer below. We'll keep you posted as Lucasfilm releases any additional details.